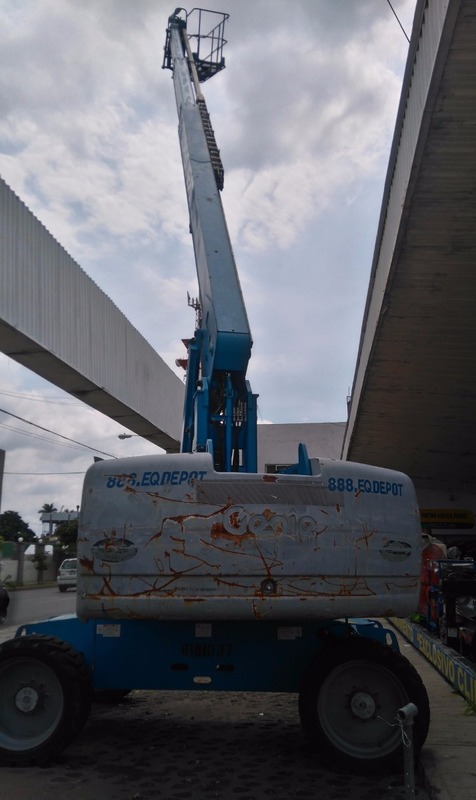 PLATAFORMA DE ELEVACIÓN MARCA GENIE MODELO S-65, SEMINUEVA AÑO 2008 CON 3,434 HORAS DE USO. ALTURA DE PLATAFORMA 19.80 METROS (65 FT). ALTURA DE TRABAJO 21.80 METROS (71 FT). ALCANCE HORIZONTAL 17.10 METROS (56 FT). CAPACIDAD DE CARGA 227 KG (500 LBS).